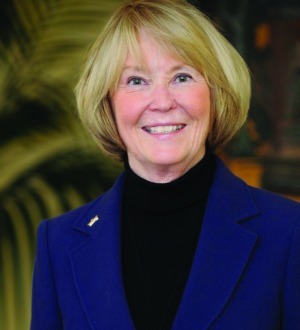 A pioneer in the field of mediation, Ms. McWilliams has acted as a third-party neutral in a wide variety of domestic relations and civil disputes. She has served in numerous leadership positions with the Colorado and Denver Bar Associations. She is a past president of the Metropolitan Denver Interdisciplinary Committee and contributed to the passage of the Colorado Parental Responsibilities Act. She was an adjunct professor at the University of Denver Sturm College of Law and is an Advance Practitioner Member of the Association for Conflict Resolution. She is the recipient of the Alumni Professionalism Award from the University of Denver Sturm College of Law and the Family Law Icon Award from the Colorado Bar Association. She is listed in The Best Lawyers in America, Super Lawyers 5280, and is AV rated. She is the author of the award-winning books, The PeaceFinder and Parenting Plans For Families After Divorce.